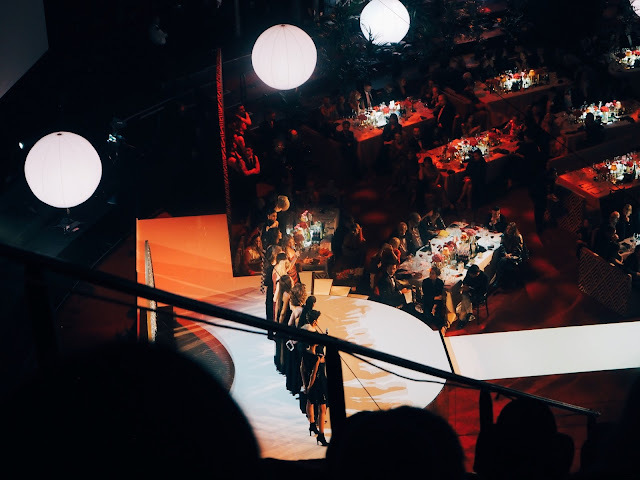 Let me take you to the fashion's night of the nights. 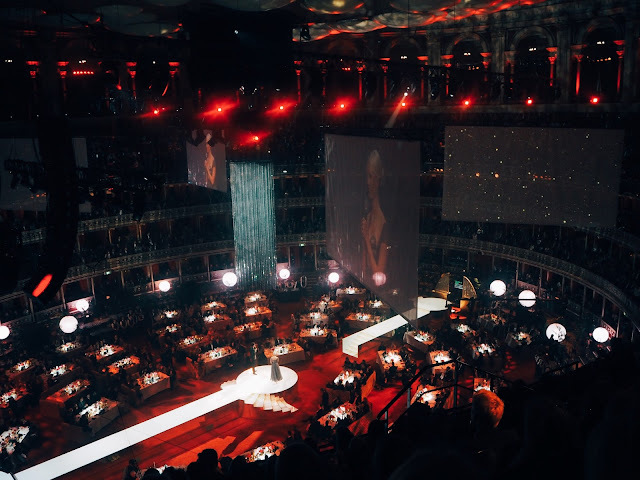 On this Monday's night (4.12.2017), the Royal Albert Hall in London was filled with an immense number of successful people from the fashion industry and with all the fashion lovers who came to celebrate the talents, achievements and fashion icons. In a nutshell, a night not to be missed. 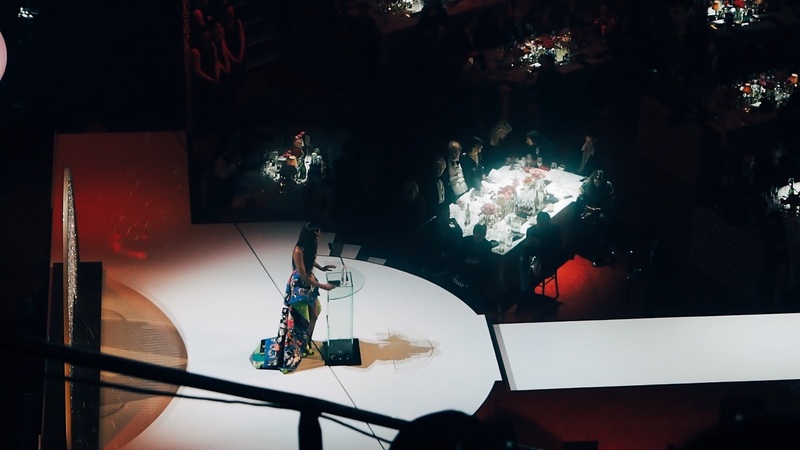 This event was held in partnership with Swarovski and hosted by Jack Whitehall and Karlie Kloss. Both of them did a really great job throughout the evening. As the event was without a break, they were running around the place to make everything work which was very impressive. 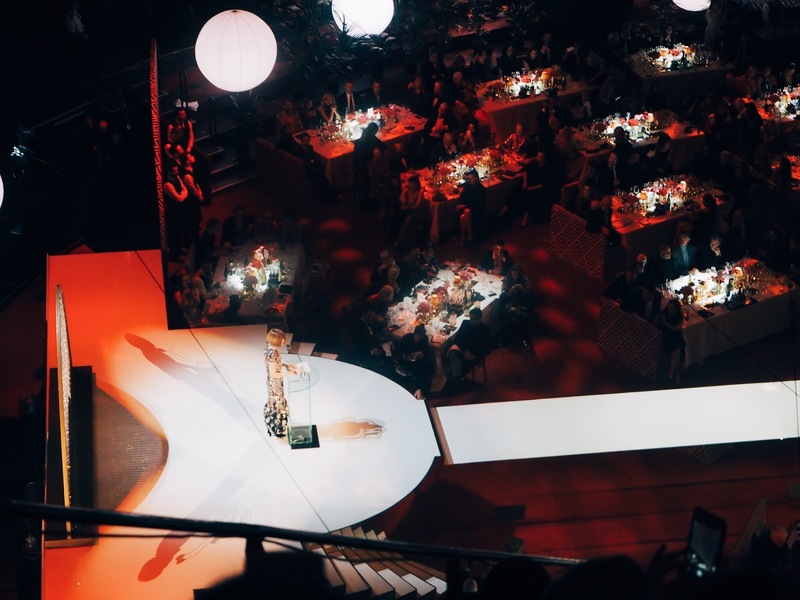 On top of that, Karlie presented 7 different dresses during the show highlighting the work of Erdem, Dior, Gucci, Calvin Klein, Versace, Celine or Vivienne Westwood. 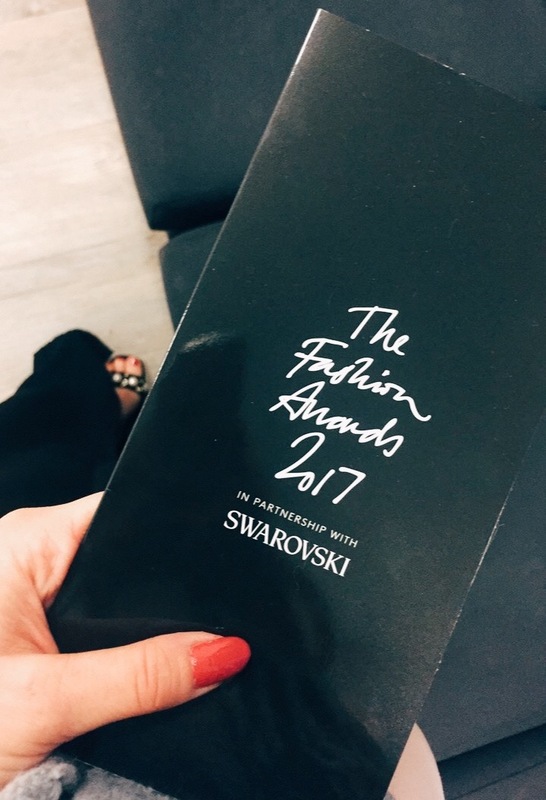 The fashion nominees were recognised for an outstanding contribution to the fashion industry. It was so surreal to listen to all these people and share the moments of appreciation with them. 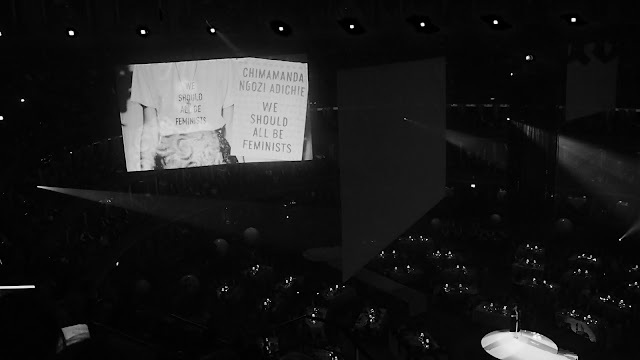 I am deeply inspired by all the people who were presented in the room that night and who won the awards. 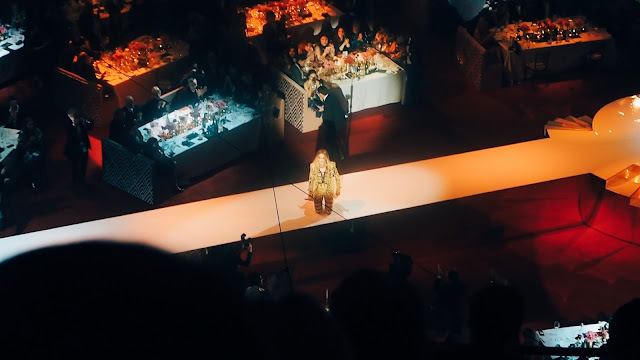 It truly was an amazing feeling to be even able to see people you had the opportunity to work with for a moment or see them in person during other fashion events and experiences, such as Henry Holland, Yasmin Le Bon or Phoebe English. Altogether, it has created a memorable moment for me. If anything, the fashion industry is an inspiring place to be because it provides me with motivation to work on myself and do my best to achieve my goals and be proud of what I do. And that's pretty good, right? Throughout the night, the hall also paid a tribute to Azzedine Alaïa (couturier), George Michael (singer/ songwriter) or Franza Sozzani (Italian journalist and editor-in-chief of Vogue). 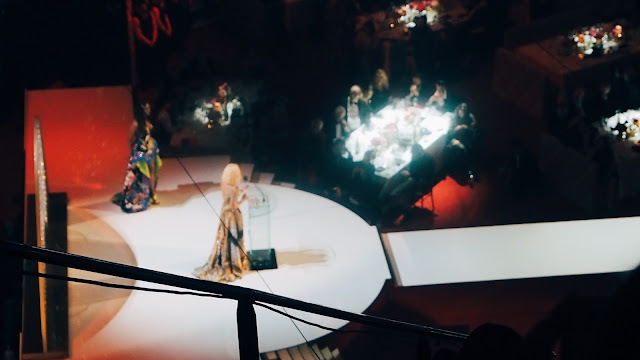 Rita Ora covers FREEDOM by George Michael to honour Donatella Versace. I am very pleased that I have got this opportunity to attend such event as it was an incredible experience which I will definitely remember for a long time. With the one and only, Eva Herzigova. It was an honour to meet Eva, the fashion icon, inspiration and Czech model. Thank you for your lovely comment, I really appreciate it. You're right, I think fashion week or any fashion related events are always a great opportunity to get inspired and see people gathering together to share one passion they have in common - love for fashion. Thank you again. Have a nice day, Tereza.